Home Heat were recommended to me a few years ago, by a local property business. 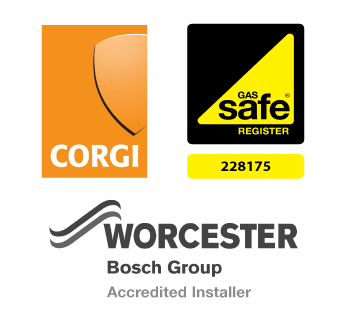 They provide an annual service on my gas boiler and fire and have also checked and inspected other aspects of the system to ensure it is compliant with new legislation. I have always found them to be reliable, conscientious and considerate to my property, by taking care with all the work they do. I have recommended Home Heat to neighbours and parents as I’ve always been able to trust their advice and guidance, based on the best option versus cost which, for me, is reassuring from a Gas Safe company. I have been using Home Heat since I moved to Yorkshire 6 Years ago, and now I would not use another boiler or heating engineer unless they were unable to do the work. They have replaced one boiler for us and done all of our servicing. Their standard of service is exemplary. They say when they can do the work, stick to the times and days, tell you what is right or wrong, what needs doing, and if there is nothing, they don’t charge or invent work. They are honest, efficient, fast, polite and good. What more do you want? Just to say a big thank you to Home Heat Services and particularly Matt for sorting out my cascading shower this morning. He was really helpful and friendly and worked efficiently to install the brand new shower. Once again many thanks. We have used Home Heat Services for a variety of reasons – boiler services, sorting out a leak and replacing the shower motor. They have become out “go to” people. I have recommended them to friends without hesitation as they respond quickly on first contact, provide a reassuring and efficient service which in my view is very good value. I also appreciate that Jeremy always follows up to check we are happy with the service. We always are! I was very happy with the guys who have dealt with the boiler from start to finish. I am so happy that they have been able to find out what the problem was, after having had 3 (different) engineers from Scottish Power come out in the last year and not one of them had a clue, the problem was “brushed under the carpet”. I had given up hope on finding out the problem. Finally I’d like to mention that your lads today have done a brilliant job, they have been very professional, very helpful and polite, and most importantly tidied up after themselves ( not that much mess was made). I will definatley be recommending your business to anyone who asks, and I will also happily use your business again myself for future services to the boiler. I have used Home Heat Services for a number of years, for repairs and installations. I find their attention to detail and professionalism to a very high standard. The service received has been first class and I do look forward to using their services in the future. I would recommend Home Heat for any of your heating/plumbing needs and please be assured that the service you will receive will be without complaint. I have been using Home Heat Services for over two years and have always been 100% happy with their workmanship and professionalism. I would glady recommend their services to anyone looking for a Gas Safe registered heating engineer in the Leeds area. We were recommended Jeremy by an old friend, Pete the Plumber, when our boiler packed in and we had no heating or hot water during the coldest spell and heaviest snow for over 5 years, when the ‘Beast from the East’ sent temperatures plummeting to minus 10 during the night. Jeremy came round within a day of being contacted, inspected the property and arranged to replace our boiler as soon as humanly possible. He was extremely helpful, knowledgeable and professional and his team of Matt, Alex and Adam were very experienced, really hardworking, highly efficient and exceptionally clean and tidy. The quality of their work and levels of customer service are second to none and we will use Home Heat Services for all of our servicing in the future. Massive thanks for the installation. Everyone involved was excellent and has done a superb job. I would not hesitate to recommend you to anyone! Home Heat Services provide the friendly service you want from a local independent business combined with the professionalism, knowledge & piece of mind you’d expect from of national company. Highly recommended!